Whether you need to produce personalized greeting cards, a unique picture in order to put on Facebook or myspace, YouTube, or maybe even to your internet site, it is easier than ever to produce a photo that seriously pops. Adding a basic boarder, or maybe making use of some sort of retro look and feel can be easily done with just a couple of clicks using built-in photo filter systems or pre-set effects. Even incorporating a vignette to an image can be carried out quickly and easily. This effect is really standard nowadays and is referred to as ‘light fall-off’ which just means darkening the actual corners of the photo in relationship to the actual center of a snapshot or image. Expert photography enthusiasts know well that this optical vignette can happen naturally whenever taking pictures and really adds a great effect to certain photos. Creating this on a typical picture draws a person’s attention to the middle of the actual image and can also have a great impact when looking to showcase something such as a flower or a brilliant setting sun. Through the use of external plugins it is easy to expand on the features of Paint.NET. There is a vast amount of filter and effect plugins available as well as plugins that add support for other file formats, shadows, and other paint tools. 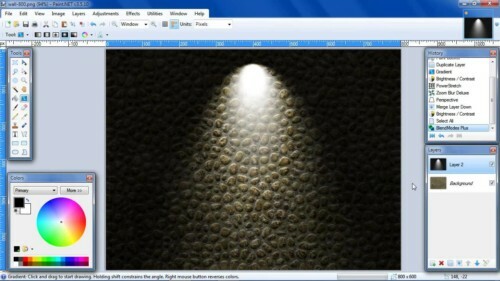 The effect plugins for paint.NET are created by 3rd party developers and are released on the Paint.NET forum plugins section. You can view the plugin repository index here. There are 2 main types of plugins available; File Type plugins and Effects/Filters and Adjustment plugins. Each plugin includes a .DLL file that may or may not be compressed into a .zip or .rar file. Before installation one must extract the contents of the archive before proceeding to install the plugin in the appropriate directory. 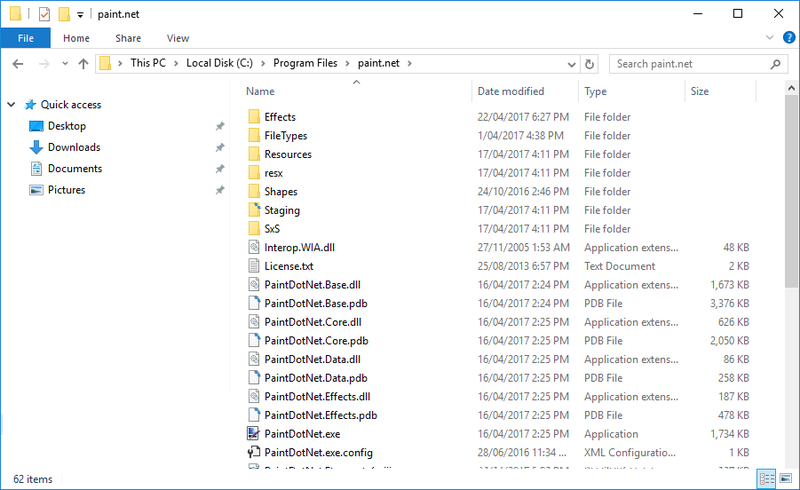 Copy over the uncompressed effect plugin .dll file into the /effects/ directory to successfully install the plugin. Note: The new plugin will only be activated upon startup of the Paint.NET application. Most of us have lots of pictures on our mobile or portable phone, iPad, or perhaps home pc and have been wanting to share all of them with friends or loved ones. With easy to use photo enhancing software programs that include Paint.NET features its so easy to download, save, categorize, and start enhancing your stored pictures. By now you will be able to crop, size, resize your current pictures and change the contrast, brightness and apply other filters and effects with just a few simple clicks. We encourage anyone to try out any of these easy modifications and see how your current photographs will suddenly take on a new life!